If rumors are to be believed, then the United States, Australia, South Korea and Japan have teams of lawyers on stand-by should the 2022 World Cup be switched from summer to winter. Those four nations lost out to Qatar in the bidding race to host the 2022 World Cup. It was not a popular win in the international media, which has been grumbling about it ever since. Over the past few weeks, one issue has come to the fore: the heat. With summer temperatures approaching 50 degrees Celsius, it is not surprising that the weather would be an issue. Qatar is developing cooling technologies to air-condition stadiums, with examples already in place, and fan zones. But as many have pointed out, you can’t air condition a whole country—even one as small as Qatar. With a pleasantly warm winter, it is perhaps no surprise that a move to cooler months has been mooted. Union of European Football Associations (UEFA) President Michel Platini, one of the most powerful men in the world of football, recently said that winter would work, despite the fact that he voted for Qatar to host a summer World Cup when the decision was made in December 2010. United Arab Emirates Football Association (UAEFA) president and vice-president of the Asian Football Confederation Yousuf al-Serkal recently agreed with Platini. FIFA president Sepp Blatter said that a switch to winter is possible, adding that it would have to come at the behest of Qatar. If that were to happen, it could open the process up to a re-vote. 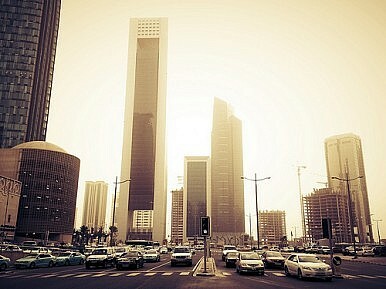 “For there to be a change to winter it is necessary that Qatar ask for it. They have not done so yet,” Blatter said. According to Hassan al-Thawaddi, general secretary of the Qatar 2022 supreme committee, Qatar has always said that a winter World Cup is no problem but only if the wider football family requests it. A winter World Cup would also necessitate the rescheduling of all major European leagues, especially the English Premier League, which does not have a winter break. Most members of the Premier League remain opposed to adjusting domestic seasons to the World Cup, but there has been a gradual softening of attitudes. There will be a few twists and turns yet and in the meantime lawyers across the Asia-Pacific could be waiting.